This recipe is for a nice hearty moist cake. I love that it isn't like the boxed cake mixes tou buy in stores and it's super soft and spongy. However, some love that texture of cake and if you're one of those people, instead of butter try adding 3/4 cups of coconut oil or any oil of your choice. Beat butter, sugar, vanilla and eggs in mixer until creamy. Add dry ingredients slowly and milk in bathces. Beat until thick and creamy. Then add to cupcake pan/ cake pan and bake 20-25 min. on top and doubled in size. 1 1/2 cups 1% milk room temp. 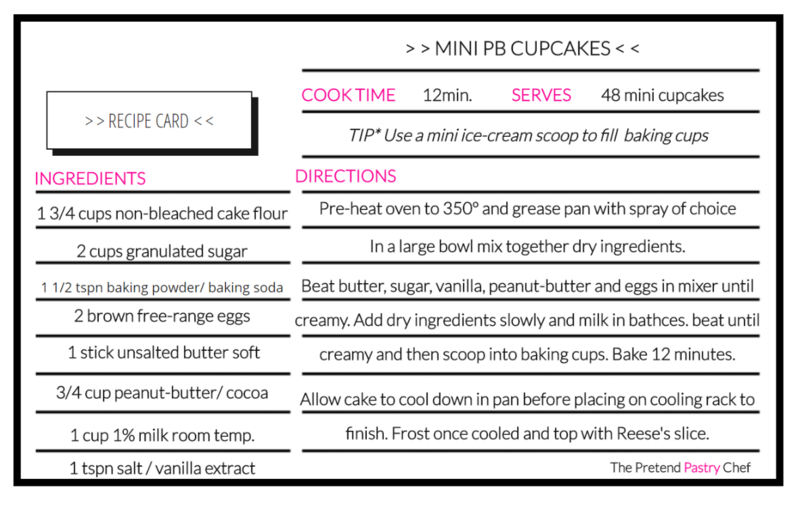 This recipe doesn't need the peanut-butter in the cake batter. You can actually make it without that if you like. I prefer it in the cake batter because you get that peanut-butter flavor not just on the frosting, but throughout the entire bite of the mini cake. Beat butter, sugar, vanilla, peanut-butter and eggs in mixer until creamy. Add dry ingredients slowly and milk in bathces. beat until creamy and then scoop into baking cups. Bake 12 minutes. Allow cake to cool down in pan before placing on cooling rack to finish. Frost once cooled and top with Reese's slice. 1 cup 1% milk room temp. 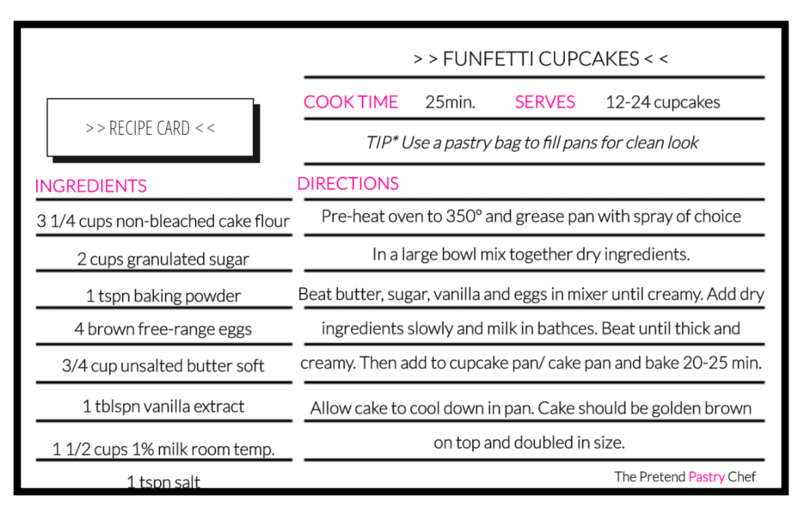 When making the buttercream for this recipe, I decided to switch out milk and use heavy whipping cream to give it a whipped cream texture. they form thick shinny peaks. Once they have done so, fold into the cake batter. Bake for 25 minutes and allow to cool. Decorate!